AMSOIL - "Our Company makes the Best Synthetic Lubricants in the world, period, and challenge anyone or any company to prove us wrong! That won't happen because our competitors know it's true." Here's a special excerpt from A.J. Amaturio, Presiden t of AMSOIL, as written in the monthly AMSOIL Action News regarding AMSOIL and Mobil 1: Test results below. "As most of you are aware. Mobil 1 was introduced after AMSOIL had paved the way for synthetic motor oils back in the '70's. When it was introduced it cased great concern among many of our Dealers. But in my Presidents Message at the time, I assured everyone that having Mobil 1 on the market would only help us sell more oil. Mobil confirmed everything we had been saying about synthetic oils, and our products and claims instantly became more credible. Since then, we have always been compared to Mobil 1. When people think of synthetic motor oil, they think of Amsoil and Mobil 1, not the other Johnny-come-lately's that have come on the market more recently. I have always said that Mobil 1 is a good motor oil, because compared to the run-of-the-mill motor oils on the market, it is. I have also always said that AMSOIL motor oil is better, again, because it is. Mobil makes their oils to run at normal drain intervals while we make ours for extended drain intervals, and therein lies the difference.& nbsp; Their oils don't have to be as good as ours, so they are not. To prove that point, we ran a number of comparative tests on our 5W-30 and Mobil 1 SuperSyn 5W-30. The test results are published in this Action News, and they confirm what I have been saying all along. AMSOIL makes a better motor oil. These test results show significant differences between the oils. Look at the results of the NOACK Volatility Test. Which synthetic oil is going to last longer in service? Look at the difference in Total Base Numbers. Again, which oil is going to provide the longest lasting protection? Look at the Four Ball Wear Test. Which oil will protect against engine wear better? In every category we tested, Amsoil proved superior. Lower pour point, higher flash and fire points, AMSOIL tested best. So when I hear claims that nothing outperforms Mobil 1, I have to say "wrong!". They may have good slogans and marketing hype, but when it comes to superior performance, I say nothing beats AMSOIL!" AMSOIL INC. set out to examine the specifics of the overly broad �Nothing Outperforms...� Mobil claim. AMSOIL 5W-30 Synthetic Motor Oil (ASL) and Mobil 1 SuperSyn 5W-30 Motor Oil were analyzed in five key bench tests measuring motor oil performance: NOACK volatility, flash/fire point, pour point, four ball wear and total base number (TBN). As shown in the charts below, AMSOIL outperformed Mobil 1 in all five areas. The Pour Point Test determines the lowest temperature at which a lubricant flows.The lower a lubricant�s pour point,the better protection it provides in low-temperature service.As shown in the graph, AMSOIL 5W-30 Synthetic Motor Oil has a lower pour point than Mobil 1 SuperSyn 5W-30 Motor Oil. Total Base Number (TBN) is the measurement of a lubricant�s reserve alkalinity. The higher a motor oil�s TBN, the more effective it is in handling contaminants and reducing the corrosive effects of acids for an extended period of time. As shown in the graph, AMSOIL 5W-30 Synthetic Motor Oil has a higher TBN than Mobil 1 SuperSyn 5W-30 Motor Oil. Mobil 1 has run the tag line for their advertising stating "nothing outperforms Mobil 1". 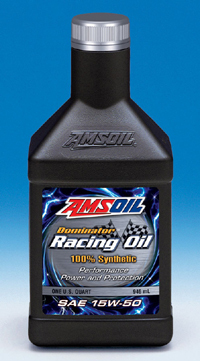 Mobil makes a good oil, but I'm here to tell you that it does not outperform Amsoil Synthetic Oils. They can come out with all the catchy advertising buzz words to market their oils, but in the final analysis, buzz words don't add one thing to their product's performance. The only reason Amsoil has continued to grow and prosper competing with large corporations like Mobil is that AMSOIL products have consistently performed better.